The Intel NUC Kit NUC6i5SYK is a Mini PC with the power of a desktop PC. Equipped with Intel’s newest architecture, the 6th generation Intel Core i5-6260U processor, NUC6i5SYK has the performance to stream media, manage spreadsheets, or create presentations all in a slim 4x4” form factor. Intel Iris graphics 540 with 4K display capabilities provides brilliant resolution for gaming and home theaters. There's room for a lightning fast M.2 SSD and up to 32 GB of RAM. 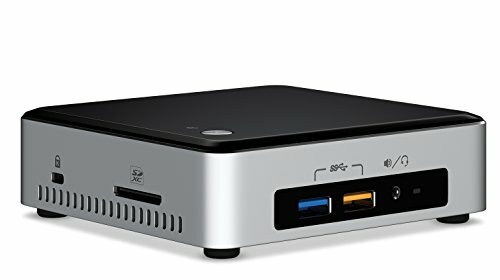 This NUC is a barebones kit, meaning it is ready to accept the memory, storage, and operating system of your choice.